The University of Michigan in Ann Arbor today announced its School of Public Health will house a new, multi-institutional center focusing on modeling and predicting the impact of tobacco regulation, funded through an $18-million federal grant from the National Institutes of Health (NIH) and the Food and Drug Administration (FDA). 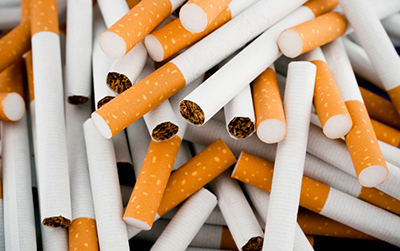 The Center for the Assessment of the Public Health Impact of Tobacco Regulations will be part of the NIH and FDA’s Tobacco Centers of Regulatory Science, part of a partnership formed in 2013 to generate research that informs the regulation of tobacco products. The center will provide projections of the behavioral and public health impacts of tobacco regulations to support the FDA in regulating the characteristics, marketing, and sale of tobacco products. Collaborating institutions include the Georgetown Lombardi Comprehensive Cancer Center and Yale University School of Public Health. Researchers from across U-M will also contribute, including some from the Rogel Cancer Center, Ford School of Public Policy, Institute for Social Research, and Institute for Healthcare Policy and Innovation. Under the Family Smoking Prevention and Tobacco Control Act, the FDA must demonstrate that any new tobacco-related regulation is appropriate for the protection of public health. The act requires the FDA to show the impact on the population as a whole, including tobacco users and nonusers, and to consider smoking initiation and cessation as well as toxicity of tobacco products. For example, Meza said the center could create models to predict the health and behavioral impacts if the FDA were to regulate the amount of nicotine in cigarettes to bring it down to a nonaddictive level. “If someone is already addicted, are they going to switch to something else? Would this regulation incentivize a black market? Our center will look at the trade-offs and consequences of such regulations,” says Meza. The center will examine three major issues based on the analysis of historical tobacco-use patterns in the U.S. One is examining the impact of tobacco regulations and policies on smoking and e-cigarette use and long-term health outcomes, including heart and lung disease and maternal and child health. Another is analyzing the possible consequences of regulating the amount of nicotine in smoked tobacco products, while a third is modeling tobacco-related health disparities and investigating how potential policy options may impact those disparities. The center will coordinate panels of experts that will be hosted at Georgetown and available as resources to the FDA. Researchers at the center will analyze data from nationally recognized surveys to provide estimates of initial levels of tobacco-use and develop an infrastructure for model and results dissemination. The center will also support students, postdoctoral researchers, and junior faculty.